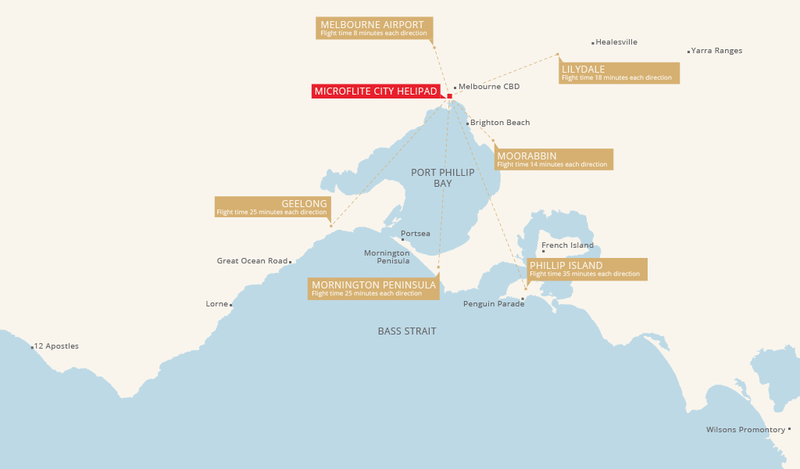 Fly from a range of locations across the state to our CBD heliport, or start your journey in Melbourne and head out of the city in comfort and style. Need to get to Melbourne for a meeting or important occasion? Heading out of the city for a weekend getaway?